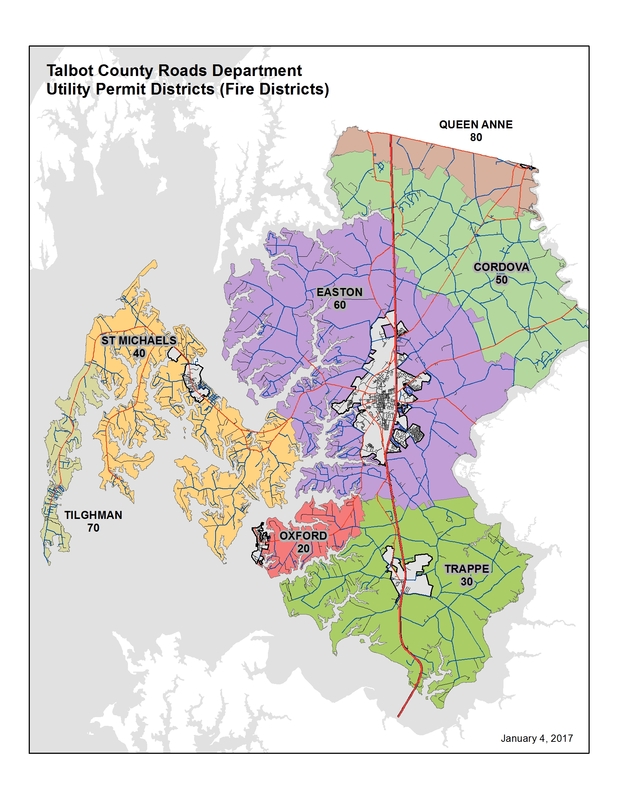 The Talbot County Roads Department is responsible for repair and maintenance of the County's public roads, excluding State roads. This work includes road patching/repair, maintenance of drainage structures and ditches, road resurfacing, sign maintenance, culvert installation, debris removal, mowing and snow removal. The Roads Department, in cooperation with the Maryland Department of Agriculture, oversees the Weed Control Department, which is responsible for controlling Johnsongrass and Thistle throughout the County. Any calls concerning noxious weed control should be directed to Ray Kinsey, Weed Control Coordinator, 410/770-8157. The Roads Department is restricted from performing work on private property by State and County law with few exceptions. The Roads Department must be contacted prior to installation of new or upgraded entrances at County roads to ensure that roadside drainage is not impacted. The Roads Department can install driveway culverts, on County Roads. There is a fee for this service and the property owner must purchase the pipe. Contact the Roads Department at 410-770-8150 for additional details. 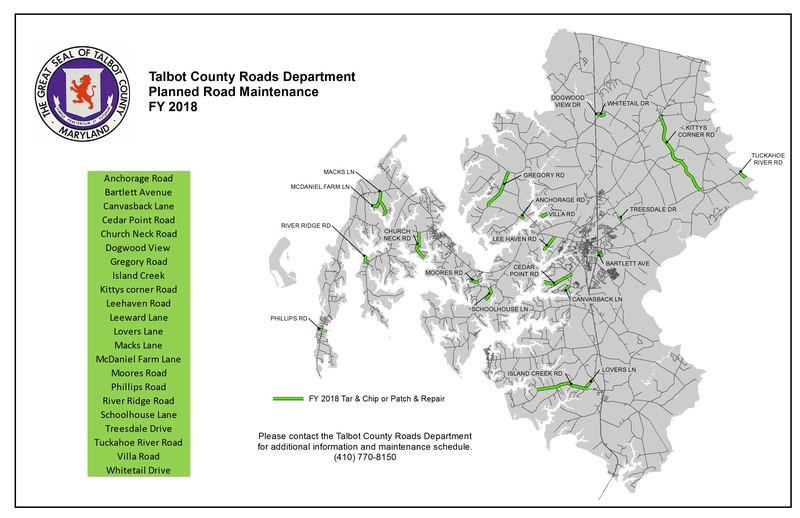 Most new public roads in Talbot County are not built or funded by the County. These new facilities are constructed and paid for by developers with review and inspection by the Department of Public Works. The County will take over a private road, if the owners/users, at their cost, upgrade the facility to County public road standard. Contact the Department of Public Works prior to initiating such an effort.